STOCKTON - The Belletto family holds another championship at Stockton 99 Speedway. 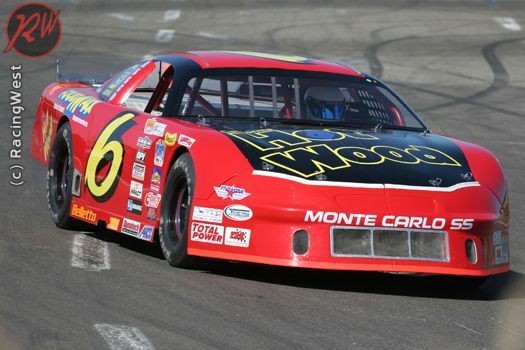 Jeff Belletto of Modesto clinched the Western Late Model title in Saturday's Whelen All-American Series season finale, holding off a late-season charge by Dave Byrd of Seaside. Belletto held a 37-point lead entering the 150-lap race and was needed to finish no worse than 16th to join his father, Harry, and brother, Steve, as track champions. Belletto started in seventh position and finished third in the race, won by Justin Philpot of Tracy. Byrd finished second. Philpott also won the trophy dash, his second of the season. Earlier, Stockton's Jeremy Tucker smiled along with family and friends as he celebrated his Bomber Division title in victory lane in front of an estimated 1,300 spectators. "There was some good competition out there," Tucker said. "My main challenge was keeping the car running all year, so it feels great to win (the championship)." Tucker won his heat race, trophy dash and a wild main event to close out his successful season. Turlock's Wes Miller clinched the Grand American Modified title well over an hour before the main event with his heat race win. He added a wire-to-wire victory in the main event and finished second in the trophy dash behind Lincoln's Nick Lyons. Super Stocks champion Mike Graham of Hughson survived a worst-case scenario in lap 13 of the main event when he collided with Stockton's Ben Lewis and suffered a flat front tire to fall to 11th place. His crew frantically replaced the tire and got him back onto the track just as the pace car pulled off, and he managed to finish sixth to claim the title. Modesto's Garland Tyler had the Super Stocks points lead for 10 laps before Graham made his comeback to edge Tyler by eight points. Stockton's Rich Harper won his first main of the year to finish third in the points. French Camp's Mark Jacke swept everything but the season crown in the Basically 4's by setting a track record in qualifying (17.187 seconds) and then taking the checkered flag in both the main event and dash. Manteca's Joseph Reichmuth finished fourth in the main to pad his insurmountable lead for the B-4 title with one race to go. The speedway hosts racing on Oct. 1, featuring the final track points races in Mini Trucks, Basically 4's and Powder Puff, as well as the Watermelon Bash Enduro Series.